Hi Chris, just saying another THANK YOU for all your help over the last 6 months! been driving for a week now the insurance came through and tackled motorways on my first drive and dealt with a few other experiences on the way! thanks for all your help! A huge thank you to you Chris for teaching our children to drive. 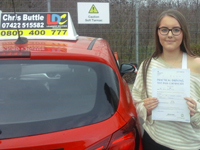 We are so proud of them both for passing first time and we have no hesitation in recommending you should anyone ask. Many many thanks. Hi Chris I would rate you 5+ plus rating. 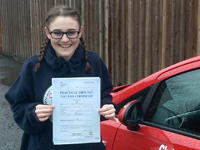 Passed my practical test in Pontefract with 2 minors today I would recommend Chris Buttle as he is very laid back and has excellent tips and tricks on passing the test. I wouldn't pass without Chris help and that I would like to thank him for his time, patience, effort and be able to have faith in me. 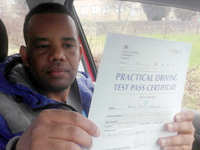 I had previously taken a course 2 years ago, and wasn’t successful in passing my test. 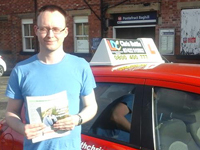 2 Years later I decided to try again to pass my driving test in which I chose to do the mid-way pass intensive course and use a new instructor this time around Chris Buttle. From the start of the course I had a few nerves and not driven in 2 years but Chris kept me calm and helped me to get the skills I had learnt 2 years ago, throughout the week, and fine tune them. Instructions, and directions were clear, helpful and concise. 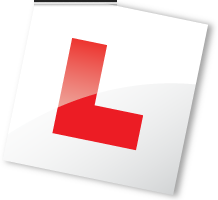 Materials provided by LDC helped me at no end throughout my driving and helped to point out the progress made and to help me learn. 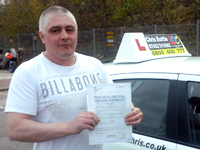 I would recommend if you are just starting your driving or looking for a new instructor I would point you to Chris as he is friendly and keeps you calm throughout your lesson(s) and before your test, and the course materials too which go hand in hand as they helped me to pass my test. 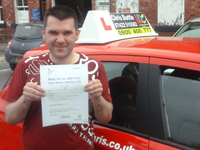 I would say thank you so much to Chris for being so supportive during my driving lessons until I passed my test. I will really recommend Chris I'm 100% satisfied. The intensive driving course with Chris was an amazing experience, very laid back and corrected all my faults, he did a fantastic job at coaching me to a first time pass with only 2 minors! I would highly recommend him. Cheers Chris, on top of the birth of my youngest son, this made my 2016! !